AT&T wants to help Silicon Valley improve its diversity by giving students in Salinas, California, a boost. 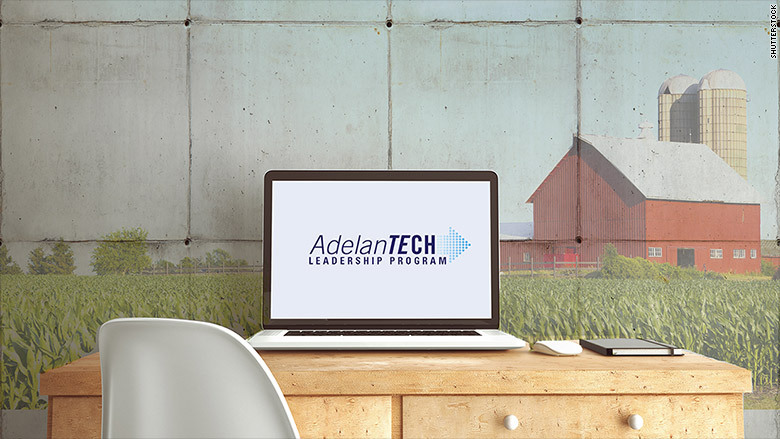 A new program called AdelanTECH Leadership is helping students in the rural community -- which is just an hour from Silicon Valley -- get web development training and leadership skills so they, too, can work in tech. Salinas' population is 75% Hispanic, a vastly underrepresented minority group in Silicon Valley. "We see this as part and parcel to our broader [diversity] outreach," said Ken McNeely, president of AT&T California, which is footing the bill for the 10-month program. "We know that STEM jobs are solving the economy ... Where's the next new talent? How can we train the workforce of the future?" United Farm Workers, a national union for those in agriculture, helped identify twelve participants. It looked for students enrolled in a two or four-year institution, who had a demonstrated background in math or science. Starting in July, students commit to 10 hours of week of online web development courses through Udacity, which will provide them with certification. They're also devote one Saturday a month to CORO leadership training, a chance for them to engage with one another. "We hope that not only are they prepared to work at a [company like] AT&T (T) but also at companies like Uber, Facebook, [which are] also significant employers in the California economy," said McNeely. 18-year-old Luis Villalobos said he found out about the program from his father who is a farmer involved with United Farm Workers. Luis Villalobos, left, participating in the first leadership session event. "My parents don't really know much about technology," Villalobos told CNNMoney. "[They're] immigrant farm workers that didn't get much of an education." The students have other jobs, courses and obligations. Villalobos will be a freshman at U.C. Santa Cruz this year. Time isn't the only hurdle. For 23-year-old Lidia Bautista, who attends Hartnell Community College and works as a picker for Monterey Mushrooms Company, it means spending at least 10 hours a week outside the home to work on the online courses. That's because she doesn't have Internet in her home. "I'm going to go to my mom's house or Starbucks," she told CNNMoney. "I know it will open doors for me in the future." Villalobos echoed her statement: "I know technology is going to be necessary in every aspect of the future."